Former Idol star Shannon Noll has returned home from the UK, where he starred on-stage in a remake of the classic ‘War Of The Worlds’. And with his ‘In The Raw’ Australian tour beginning at the end of July, the singer is set to get up close and personal with his Aussie fans. But, so fans get even closer to the star than ever before, he’s announced a brand new official fan club – SNFC. Members of Shannon’s fan club are set to bag heaps of exclusive benefits including meet and greets, special ticketing offers and exclusive online content. But wait! There’s more. 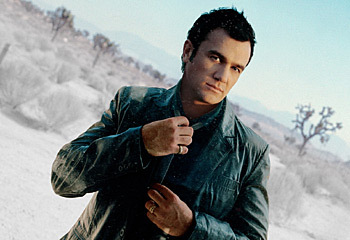 Sign up now and you’ll also get an exclusive Shannon Noll fanclub t-shirt plus a gold or platinum membership card. But that’s not all, call within the next 15 minutes and you’ll also receive a copy of Shannon’s brand new album, due for release next year. Etc etc. While the club’s not officially up and running until next month, fans can start taking advantage of the club benefits straight away. Simply head to Shannon’s OFFICIAL WEBSITE for all the guff.